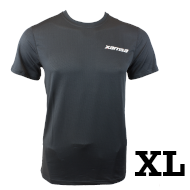 The Xamsa PXT prototype was originally developed in 2014. While playability was impressive, durability was average. After thorough testing and experimentation with different segments of reinforcement and balance point, we decided to put a thin layer of carbon fiber woven with polyolefin to reduce vibration and basalt to strengthen the frame at the 9:00-10:00, 11:30-12:30 and 2:00-3:00 o'clock. The balance point was also brought down to 355mm, resulting in an even faster swing speed. Overall, we feel that a perfect combination of playability and durability has been achieved. But don't take our word for it. 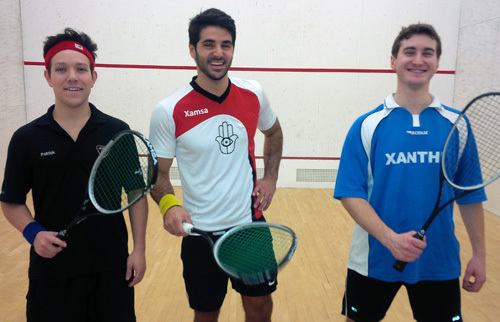 See for yourself, and remember that Xamsa Squash has an unconditional 30 day return policy. We would also like to take this opportunity to provide a bit more information about the process of developing Xamsa PXT-110 model. First of all, we would like to mention that the base mold was designed by the contract manufacturer in China and not by Xamsa. If you follow racquet technology, you will find that certain brands, and more specifically the ones making tennis racquets, use softening materials to reduce vibration. In addition, some brands use materials and processes that provide further strengthening of the frame. These materials are woven into carbon fiber sheets and/or layered with the carbon fiber. 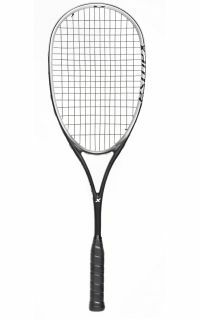 When creating the PXT-110 our goal was to use a proven technology to bring to market an excellent modern racquet at a fair price point. At first, we tried to make a prototype with Japanese carbon fiber without any vibration damping or strengthening materials (see photo below). 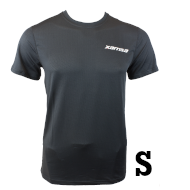 We wanted to call it “Darko” but nobody seemed to like that name so we dropped it. Darko felt and played well but durability was average. We were also concerned that the racquet didn’t feel very light possibly due to the 367 mm balance point. 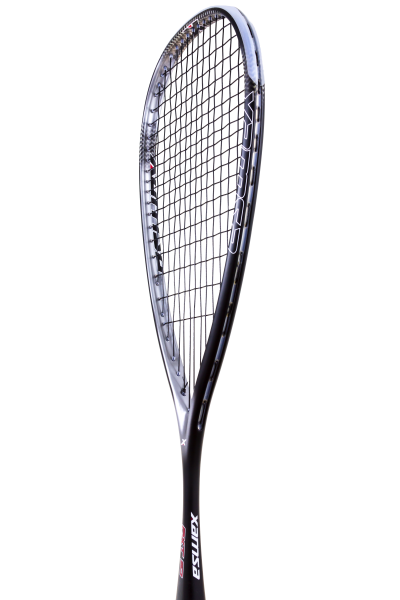 Darko specs: 153.53gr / 367mm - strung weight and balance. Then, we started thinking about how we could strengthen the frame without adding weight. Another concern we had was not making the frame too stiff since that could lead to an unresponsive racquet with excess vibration. We decided to weave a layer of vibration damping material (carbon fiber with polyolefin) and a layer of strengthening material (basalt) on certain points of the racquet (see image below). 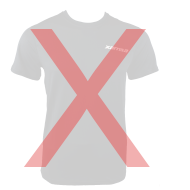 We asked the factory to apply these materials at the 9:00-10:00, 2:00-3:00 and 6:00 o’clock positions. The prototype turned out to be almost the same weight and balance (153.82 gr / 366mm) as the original. Unfortunately, for some reason the racquet felt like a brick. We thought this must be due to the balance point of 366-367mm and asked the factory if they could make it more head light, although they were not sure that would be possible. Also, we couldn’t understand why the racquet felt so stiff. We suspected it might be the basalt at the 6:00 o’clock position. Thus, we asked the factory to switch the vibration damping material and basalt from 6:00 o’clock and put it at 11:30 - 12:30 o’clock. Some time later, we received 2 more prototypes with the following specs: 150.55gr / 358 mm (strung). 152.17 gr / 370 mm (strung). And the exciting news was that the factory figured out a way how to make the racquet more head light. What was even more exciting was that both prototypes were amazing, even the one with 370 mm balance point. Removing basalt from 6:00 o’clock position was the trick! With a big relief we placed an order with the factory. The balance point was brought down to 355mm for mass production and the result, we believe, will speak for itself. Roman Allinckx won German Junior Open 2017 (BU19). He is playing with Xamsa PXT 110. 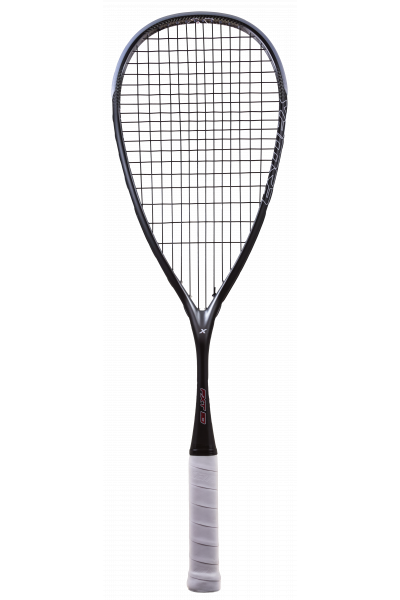 I have a bunch of similar rackets (weight and shape) in my bag - an eye, a bk, a prince - and the pxt 110 outperforms them. It's powerful, quick and accurate. I'm not hard on rackets, but I've played 30+ matches with it and see no durability issues. 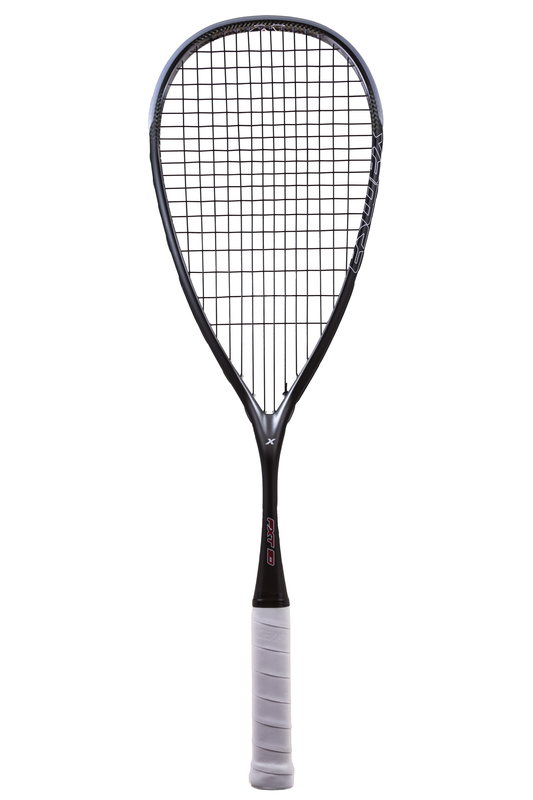 A great racket for the all-round or attacking player at a steal of a price. Highly recommend. Can't understand why I don't see more of them around. Received the PXT110 as a Christmas gift. LOVE the racquet so far. 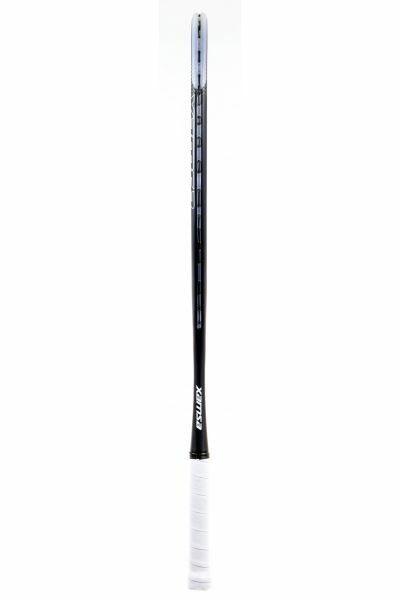 It feels and plays lighter than my Harrow Vibe JP edition racquet, the balance is excellent and the racquet feels effortless to swing. Also love the feel of the handle, slightly more comfortable to hold then the Harrow racquets and far superior to the Wilson racquets. 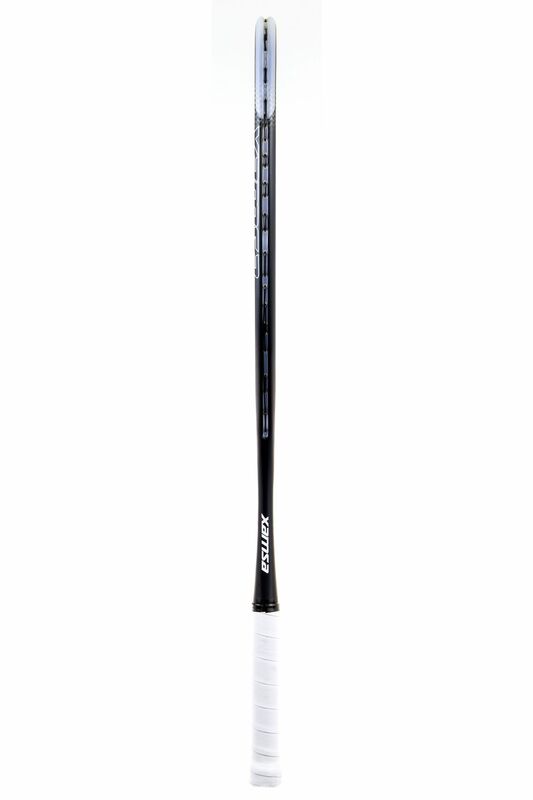 Based on value for money, this racquet is a 10 out of 10 in my books. Also the service from these guys is excellent - they know how to look after their customers. I got to hit around with the PXT-110 today and it is insanely light. I don't know how Xamsa has made a racquet lighter with more power than the CNT-135/140. Because this racquet is so light, it is very maneuverable making volleying easier. Getting the racquet up and ready has never been so easy. 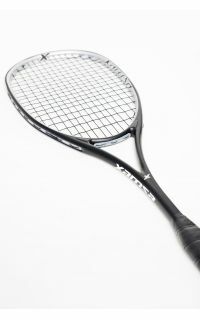 I’ve been using the Xamsa PXT racquet for about 4 weeks now and am highly impressed. 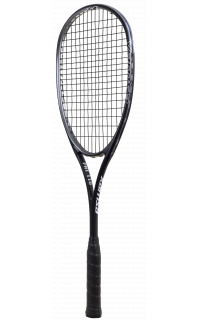 The lightweight, evenly balanced frame offers a tremendous versatility allowing for both great power (even with a short racquet prep) and finesse. Even when stretched forward in the front corners, reaching for the ball, I’m finding it comfortable to quickly snap a quick drive or crosscourt – while at the same time, I’m finding it comfortable for cutting the ball into the front corners off the ground or volley with an accuracy that’s not a given with many other frames. Further, despite its lightweight, the frame has held up excellently thus far – no cracks or snaps – which makes me quite sure I’ll be using the racquet for a long time to come. 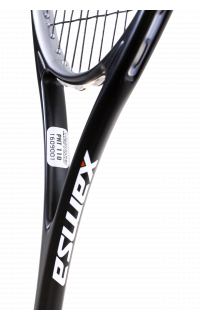 I believe the PXT marks a significant upgrade in what the company has to offer: an elite level racquet. 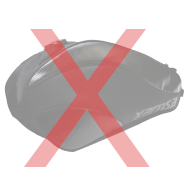 I have been playing with the PXT-110 for about a month now, and have used it extensively in league and tournament play. I love this racquet. 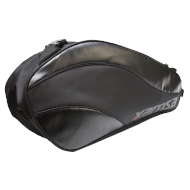 It feels very head light, and as a result is great for getting some snap on fast volleys, or maneuvering in tight corners. The sweet spot is perhaps a little bit smaller than that of the CNT-140, but it generates more power, too. 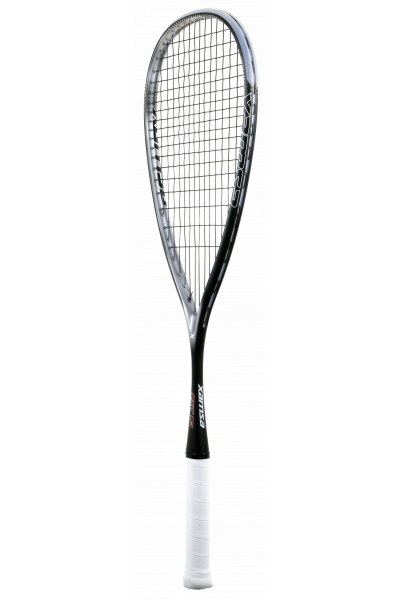 If you're looking to add a little more power to your game, this racquet should definitely be on your shopping list - it generates loads of power. Control-wise, it took me about a week to adjust to the "feel" of the PXT - because there's virtually no vibration on contact, I had get used to that feeling, and of course being such a light racquet, I did have to slow down my swing on "touch" shots just a bit. Now, I feel I have as much control as I've ever had, with more power. From a durability standpoint, I've had no issues. I'm not particularly hard on racquets, but so far the PXT shows no signs of wear and has survived the occasional wall contact without issues. 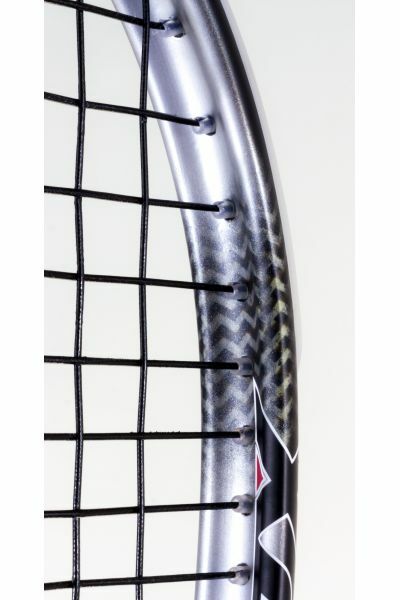 I like the look of this racquet, too - I've been asked several times at tournaments what it is, etc. and people's reactions to it have been very positive. 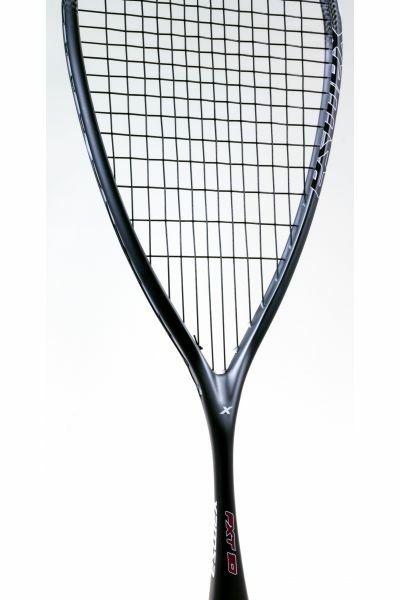 I definitely recommend this racquet. 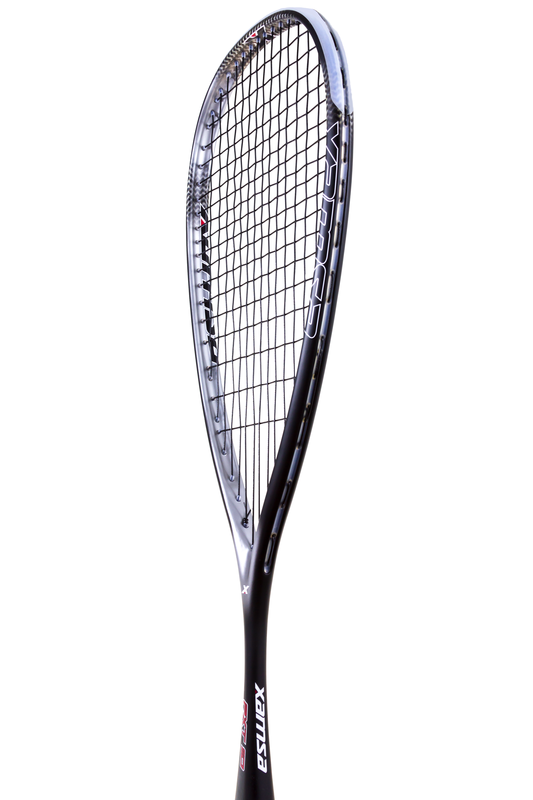 *Note: I was provided with an advance copy of this racquet to test, but it was not contingent on a positive review. If I didn't like this racquet, I would say so. I enjoy very much the improvements made to the racket. It is well balanced and quite powerful.